Datuk Mokhzani Mahathir is often associate with his father Tun Dr Mahathir Mohamad, the former longest serving prime minister of Malaysia. 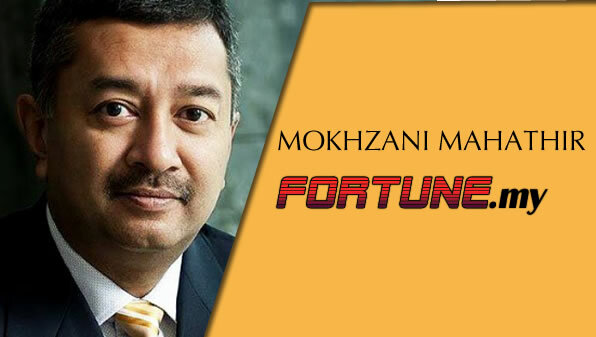 Datuk Mokhzani is currently the 28th richest man in Malaysia for 2015. He is considered to be one of the more active siblings in Tun Mahathir’s family where he is one of the leading corporate figures as well as being known to be involved in politics as well. Datuk Mokhzani ventured into the industry as a petroleum engineer before starting his own outfit. He established Kencana Petroleum that handled oil-equipment fabricators before taking the bold step to merge with another major oil & gas company, SapuraCrest. This would see the forming of SapuraKencans Petroleum which would then become the world’s largest operator of tender rigs. His wealth suffered a setback in the recent dropping of the local currency but Datuk Mokhzani continues to enjoy his ranking in the top 30. Datuk Shahril Shamsuddin is his childhood friend who is part of Sapura. While oil & gas is the main source of wealth, Datuk Mokhzani is involved in other interests as well. He is the chairman of the Sepang International Circuit responsible for hosting the Formula 1 Championships and other global events. His main source of wealth comes from his involvement in the oil and gas industry.